Simple is good. Business communication systems can be extremely complicated, but Voice over Internet Protocol, aka VoIP, can simplify your communications system in a way that will greatly benefit your business. VoIP gives you a hosted unified communications service; a feature-rich phone service, instant messaging, virtual fax, email, video and teleconferencing, and more. Combining all of these tools with VoIP simplifies your operations with one lowered bill. 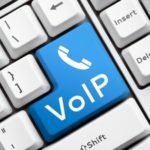 VoIP can save you up to 80% on your long distance phone bill. 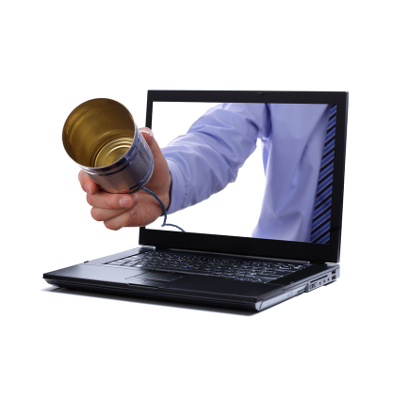 The more communication services that you use with VoIP, the more you save. Simplifying everything like this is possible because VoIP uses your Internet connection. 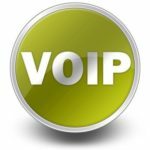 With VoIP, your company’s phone service is provided through the Internet. 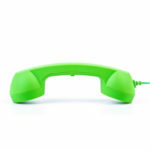 You can actually get rid of your outdated phone lines. It’s easy to add dozens of phone features to your VoIP service. This includes useful phone features like call forwarding, caller ID, call waiting, and much more. Many of these services already come with the VoIP plan, whereas the traditional phone companies charge a la carte for each one. The Internet also eliminates long distance phone charges. Just as you visit websites around the world, you can also make phone calls around the globe from an IP-enabled phone without racking up long-distance fees. 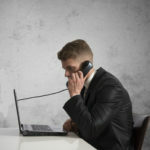 If a business trip takes you to a different continent and you need to touch base with headquarters, just connect your VoIP phone to the Internet and call. As long as your connection is good, you can call everybody back home with tele- and video conferencing from VoIP while soaking up the sun on the other side of the world. Simplifying your company’s telecommunication services will provide you with instant savings on your telecommunications bill, but there are even more benefits to VoIP that go beyond measurable savings. 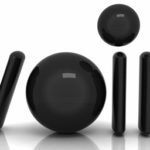 The biggest advantage that comes with implementing a unified communications solution like VoIP is easier, more instantaneous communication between coworkers. You will see increased collaboration across your entire company, and that’s a good thing! 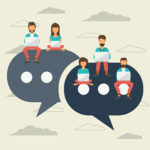 A better communication solution will unite your team in new ways, and provide your customers with more avenues to connect with your company. But you will have more communication options with your customers too. Giving your customers updated options to connect shows that you are on the cutting edge and more in line with what they’re looking for. A better connection with your customers will translate to increased sales, and that’s a good thing too. A communications solution like VoIP can take your business to the next level by saving you money, giving you more communication tools, and improving collaboration across your entire business. To simplify your company’s communication platform with VoIP, give Quikteks a call at (973) 882-4644.